Last updated: Dec 2nd, 2015. 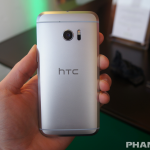 The HTC One M9 is the followup to 2014's HTC One M8. Its specs include a Snapdragon 810 chipset, 5-inch 1080p display, 3GB of RAM, a 20MP rear camera paired with an UltraPixel front camera, 2,840mAh battery, and running on Android 5.0.1 Lollipop with Sense 7.0 skin. 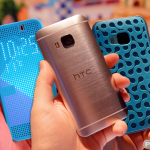 The HTC One M9 shares a similar design to its predecessor with HTC only making minor improvements. 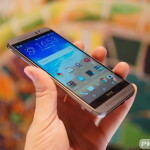 It's an all-metal unibody dual-tone, dual-finish design that makes for a unique look. The handset will launch mid-March 2015. We’ve put the HTC One M9 through its paces and scoured the depths of its settings menu so you don’t have to. Here are over 25 tips and tricks that will take you from padawan to master in no time flat. 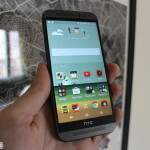 The HTC One M9 might just be the best Android device on the market, but if you go in flying blind you could very likely miss out on some of the key features that make your device great. Before you get too far ahead of yourself, here are the top things every new One M9 owner should right now. 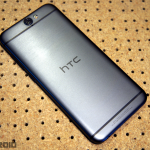 The HTC One M9 might not look much different from last year’s model, but there is plenty of new stuff to discover. Here’s everything you need to know! 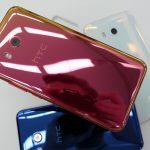 The HTC president has confirmed that the HTC U11 is selling better than the HTC 10 and One M9 in the same time period. 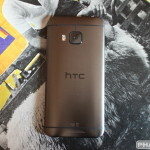 T-Mobile has confirmed that it has started testing Android 7.0 Nougat for the HTC One M9, however, there’s no ETA as to when a stable version will be released. 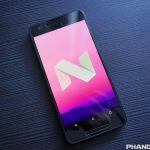 T-Mobile has created a landing page in its support section that shows which Android devices from HTC and Samsung will be receiving the update to Android 7.0 Nougat. HTC will certainly be coming under some fire after announcing its Android Nougat update schedule for the HTC 10, One A9, and One M9. Because nobody likes to be left wondering, HTC is giving HTC 10, One M9, and One A9 users some peace of mind by announcing that Android N is officially headed to these devices — they just don’t know when. 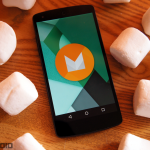 The road to Marshmallow has been a long one for HTC One M8 and HTC One M9 owners on AT&T. 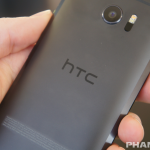 HTC’s Mo Versi tweeted only a few minutes ago that the Marshmallow rollout is expected to begin tomorrow. Android Marshmallow is making a few waves today in the news with updates coming to the AT&T Galaxy S6 and delays in store for the AT&T HTC One M9 and One M8. If you’re an HTC One M9 owner on the fence about upgrading to the new HTC 10, perhaps this will help sway you: you can save $100 on your order, though not without a catch. That catch is that you must have owned the HTC One M9 for 12 months, and not have claimed a warranty replacement during that time. 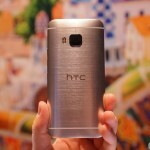 Folks on HTC’s older flagships will be delighted to hear that they’ll be able to beam content to AirPlay devices, too. The company is updating the HTC Connect app with that functionality for older devices after introducing it on the HTC 10.